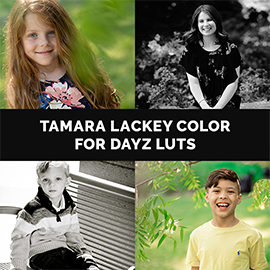 10 of Tamara’s favorite LUTs for B&W, sunsets, portraits, night scenes, and boosting color in your photos. LUTs for ON1 Photo RAW 2018.5, ON1 Photo RAW 2019, Lightroom, and More! Tamara Lackey is a renowned professional photographer, speaker, author and program host. Her authentic photography, from children’s portraits to humanitarian photography, is praised within her industry and published internationally. Tamara’s work has been featured in a myriad of media outlets, including O – The Oprah Magazine, Parenting Magazine, Town & Country, Food & Wine, Men’s Journal, Nikon World, PDN, Digital Photo Pro Magazine, Professional Photographer Magazine, Rangefinder Magazine, NBC’s The Today Show, CBS’ Evening News, and ABC’s Good Morning America.